Elite Construction offers a wide range of services in electrical substation construction. 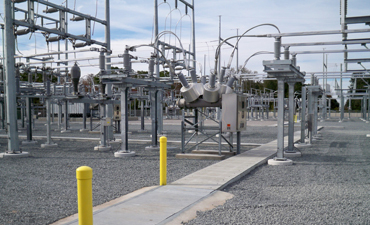 All of our substation crews are skilled in outside yard work, which includes, but not limited to, installation of breakers, switches, capacitor banks, bus systems including welding, duct banks, conduits, RTU cabinets, transformers, metering, lighting, and GOABs. We have experience working in 13kV yards to 500kV yards. Our wiremen have experience in relay panel wiring, SCADA, A/C & D/C panel battery installs, and SIS wiring. Whether it is new construction, an addition, or maintenance, we are dedicated to servicing our customer’s needs.